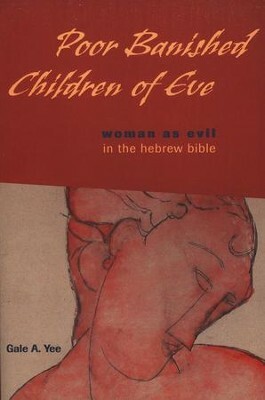 This is an investigation of the problem of the symbolization of woman as the incarnation of moral evil, sin, devastation, and death in the Hebrew Bible, and how this symbolization of a particular gender interconnects with the issues of race/ethnicity, class, and colonialism during the times of its production. What gave rise to symbolizing woman as evil in the biblical tradition and other ancient Near Eastern societies? Taking her title from a Roman Catholic prayer called "Hail Holy Queen," Yee investigates the history of this hostile tradition of symbolization, including Eve in Genesis, Gomer in Hosea, Oholah and Oholibah in Ezekiel, and the "strange woman" of Proverbs. Employing a materialist literary criticism, ideological criticism, and the social sciences, she investigates how this negative imagery crops up in a variety of forms. Among her important conclusions is that gender conflicts in ancient Israel could be deflected forms of class conflict-the struggles between the king and peasants are deflected to men and women. I'm the author/artist and I want to review Poor Banished Children of Eve: Women as Evil in the Hebrew Bible.